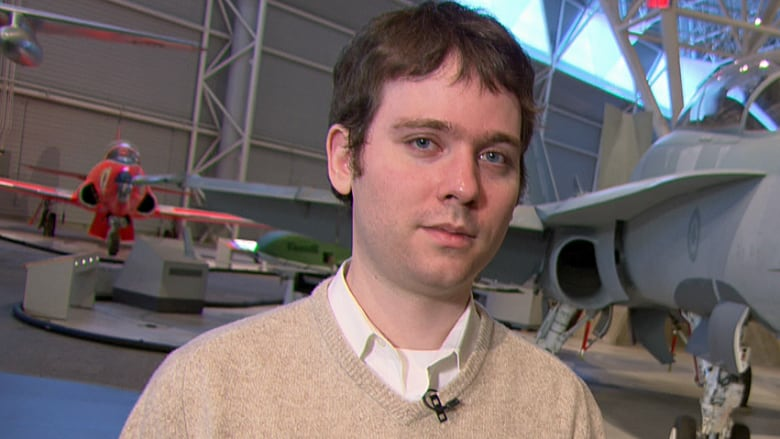 Halifax airline customer rights advocate Gabor Lukacs has won his appeal against the Canadian Transportation Agency and Delta Airlines over a complaint he filed two years ago regarding discrimination against obese passengers. Halifax airline customer rights advocate Gabor Lukacs has won his appeal against the Canadian Transportation Agency and Delta Airlines over a complaint he filed two years ago regarding discrimination against obese passengers — although he is not overweight himself. "When I heard the appeal was allowed, I was really struggling not to burst into tears," said Lukacs. "The underlying issue is, can you stand up for your neighbour? For the weak? For those who may already be disadvantaged in some way in society?" Lukacs complained to the agency that Delta has a discriminatory practice of bumping larger passengers from full flights in the hope those passengers would buy additional seat tickets. The complaint stemmed from an email dated Aug. 20, 2014 that Lukacs obtained. In it, a Delta representative was responding to a customer concerned about a fellow passenger who needed additional space on the plane. "We recommend that large passengers purchase additional seats, so they can avoid being asked to rebook and so we can guarantee comfort for all," the email read. The agency argued that because Lukacs wasn't large or obese himself, he had no standing to file a complaint about the practice. The Federal Court of Appeal disagreed and sided with Lukacs, who represented himself in court. He was awarded $750 and the agency will have to pay for it. In its 16-page decision released Wednesday, the court agreed that the Canadian Transportation Agency ignored the purpose and intent of the Canadian Transportation Act when it refused to look into Lukacs's complaint because he wasn't obese himself. "The fact that a complainant has not been directly affected by the fare, rate, charge or term or condition complained of and may not even meet the requirements of public standing, should not be determinative," the decision read. Lukacs thinks this ruling has far-reaching implications, not only for airlines, but all federal tribunals. "It shifts the focus from traditional court-like thinking of, 'Were you affected by it or were you not?'" he said. "What this decision said is that the agency has a duty to protect the public." A spokesperson for the Canadian Transportation Agency emailed CBC News to say the agency is reviewing the court's decision and is unable to comment at this time. In a statement Thursday, Delta called the appeal court ruling "a procedural matter," and said it didn't change the airline's position. "Delta will continue to fight Mr. Lukacs' claims vigorously," Delta spokeswoman Kate Modolo said. When Lukacs was asked how this ruling could affect his original complaint, he said he's hopeful the agency will look into it. "At this point, they may find perhaps other reasons for not dealing with it, in which case I am going to read the reasons and if necessary I will have no hesitation to appeal it again," he said. "There is a serious issue here that affects passengers with disabilities who are so obese they literally need two seats, or just large passengers who are uncomfortable, and it affects passengers who are seated next to those large passengers because they are cramped." Lukacs said he doesn't want the Canadian Transportation Agency to sweep the issue under the rug. "It's an unresolved issue and it needs to be addressed," he said.